Happy New Year from your friends at Triple J’s Smokehouse! We are proud to be entering our 20th year in operation, serving the great folks of Northwest Houston and beyond with our award-winning and unique Texas barbecue. We want to thank each and every one of our customers for a wonderful 2013 and we hope that all of you come back for more Triple J’s in 2014! We’re gearing up for what should be a wonderful spring, including yet another appearance at the Houston Livestock Show and Rodeo! We will be releasing more details as the Rodeo gets closer at around mid-February. 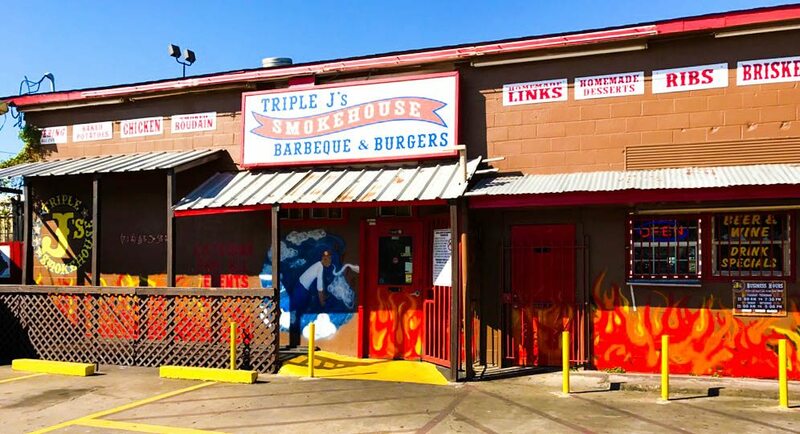 Remember everyone, even though our Houston Texans may have not made the playoffs, it is still NFL season and you can count on Triple J’s to provide the best barbecue for your playoff game festivities, on up to the Super Bowl! Don’t hesitate to call us for more information. From our family to yours, Happy New Year and come on down the Triple J’s — it might be a new year, but we’re always going to have the same great taste!